Regina Martins talked about anti-patterns of agile leaders at the Agile Practitioners 2016 conference. InfoQ interviewed her about what makes leadership important for agile, the key attributes that can make somebody a great leader, examples of leadership behaviour that hinder agile teams and how to deal with them, and asked her to share stories of great leadership. 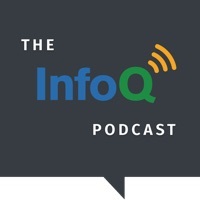 InfoQ: What in your opinion makes leadership important for agile? Martins: I see more than one dimension of leadership that is important for agile to work in an organisation. The first one is perhaps obvious in that for a new way of working to be established new ways of leading need to emerge. It starts with people in leadership roles providing teams with the vision and emergent roadmap, and then standing back and allowing them to decide how they are going to get there. So these leaders set the context and the space in which teams are able to self-organise and work towards providing value to the customer. When you talk about self-organising teams, then you are delving into another dimension. I have seen organisations whose leadership professes to believe in self-organising teams and then exhibit behaviour that contradicts this. Speaking from experience, it is not easy to let go of the need to control every single detail all of the time. Self-organisation needs leaders to back-off and let teams make their own decisions. Effective leaders of self-organising teams and organisations understand this, and know that their role is to provide the space or context for these teams. Through their behaviour they are engendering a culture of trust and safety, key factors for teams to be able to self-organise in the first place. The moment leaders start to tell people how to do things, second-guess them and undermine their decisions, this is the death-knell for self-organisation. Lastly, and I am sure it is not the last, is that for agile to become the new norm, it requires leadership to emerge at all levels of the organisation. Leadership is not a role or a title. It is not the domain of "people in charge". What does this even mean - "people in charge"? Leaders emerge situationally all the time, people taking turns leading and adjusting as needed with each person responsible for their own performance. Wow, there are so many dimensions to this, it is indeed an important question. I know that there are things I have raised in here that would require their own article. InfoQ: Can you elaborate on the key attributes that can make somebody a great leader? Martins: The first time I ran the Spiderman leadership workshop one of the participants came to me afterwards and said that the key takeaway for him was that the questions are more important than the answers. I felt quite moved that this was his takeaway because it is quite an important thing to realise. As leaders we often think that we have to know all the answers, when in fact, it is the people and the teams that have the answers they need in order to figure something out. All they need is to be asked the right questions at the right time. To illustrate the above point further…I worked for a company that coached and mentored their leaders to be "player-coaches" - what I like about this approach is the inherent acknowledgement that leaders have management responsibility in addition to being part of a team - and that knowing how to balance both of these aspects is key to success for teams and organisations to learn, inspect and adapt successfully. Knowing when to adopt a coaching mindset is important. Another dimension here is that leaders are often part of more than one team. Once again speaking from experience, deciding which is one’s first team is important to be able to balance these sometimes conflicting aspects. In order to encourage leadership at all levels in the organisation, the leaders themselves need to introspect and self-reflect in order to succeed at this. Some other attributes are being ok with showing vulnerability - it takes courage to be vulnerable. It takes courage to trust and support teams allowing them to become self-directed and allowing learning to happen. It takes courage to encourage leadership at all levels of the organisation, allowing failure so that learning can happen, and modelling the behaviour they want to see. InfoQ: Do you have examples of leadership behaviour that hinder agile teams? Like the time the IT manager who was also the Product Owner, an anti-pattern in itself, changed the way the team worked because it was better for him to get information to report to Exco. Or the time the programme manager attended the daily stand-ups to see which contractors to fire because they didn’t finish their tasks on time. Giving teams dead-lines is another classic hindering behaviour. Not allowing failure so that learnings can be obtained, like the time a release did not go well and the leader looked around for people to blame instead of allowing teams to retrospect and learn. This behaviour came from a position of fear, which only made teams fearful themselves. What happened in this instance was the decrease in trust levels in the department. InfoQ: Any ideas for teams on how to deal with this? Martins: Get a great Scrum Master - seriously! And remember that one of the Scrum values is courage. Another way is for teams to develop their own set of powerful questions. Asking the right questions is not only for leaders. Remember that everyone is a leader. Often when leaders exhibit hindering behaviour, it is very easy for teams to go into victim mode and exhibit passive aggressive behaviour in return. Understandably, teams will also in this instance, operate from a place of fear, just like the leader. By asking questions a team can unpack what the issue really is and work towards clarifying expectations if the issues are real ones, or through a process of retrospection come up with strategies to improve things. I know it is not easy - all teams need to remember is to have the courage to ask questions to get more information so as to increase understanding, instead of becoming defensive. It helps if they also have a great Scrum Master to work with them through instances such as these. InfoQ: Do you have some stories of great leadership that you can share here? Martins: After 10+ years as a Project Manager using traditional waterfall methods, my manager at the time introduced me to Scrum and suggested that it would be a good thing to try it on the projects I was managing at the time. Little did I know that that conversation was going to change my life in such a dramatic way, and that, unbeknownst to me, that same manager who introduced me to Scrum was going to become my leadership mentor, because, you see, he personified servant leadership in all that he did. Hence his "suggestion" I look into Scrum rather than tell me to use Scrum. He realised that I had to make the decision myself. I worked with another leader who was masterful at asking questions. In the beginning I dreaded approaching him for something because instead of an answer or a decision I got asked a bunch of questions that made me think, really think things through. And figure things out for myself. He allowed a great deal of autonomy which in itself required a great level of trust. As a rookie member of his leadership team he modelled this behaviour towards me, which made me trust him even more. Because I had his trust I was inclined to model the same behaviour towards my own team. And then there is the story of Ralph Stayer of Johnsonville Foods whom I reference in my workshop. All you need to do is read for yourself how he let his workers lead (See How I Learned to Let My Workers Lead). InfoQ: What can organizations do if they want to unlock leadership potential? Martins: Model the behaviour they want to see. I am a big proponent of servant leadership. Thanks for this Regina. I completely relate to your portrait of great Scrum Master - as "player-coaches" they need to know when to be intervene and mentor the team and when to give the team autonomy to develop their own problem-solving capability. Furthermore your so right that leader's today should not be defined by 'knowing the answer to everything' but by 'knowing the right questions to ask' and facilitate focused conversations. As such I recommend a book by Brian Stansfield called 'The Art of Focused Conversation' which gives 100 examples of different types of conversations and illustrates the kind of objective, reflective, interpretive and decisional questions that can be useful in each context. But ultimately it comes down to practice and the development of the art of listening along with an instinct for what's most important in developing the team's capability and self-awareness 'right now', and having the courage to initiate however uncomfortable the subject matter might be to discuss initially... and often I set the tone my expressing my own vulnerability and doubts - to 'model the way' and demonstrate its a safe space to discuss all emotional aspects of our working lives. Hi Phil, thanks for reading and your comment! You raise a great point, that of developing the art of listening - knowing when to talk and when to keep quiet. It takes great courage to be a player-coach. I haven't read the book by Brian Stansfield - I'm going to see if I can get it on Audible. FYI - the book is by R. Brian Stanfield.